Vision Direct is warning customers that a hack attack has exposed their personal data including payment card numbers, expiry dates and CVV codes. It said anyone who entered their details into its site between 3 and 8 November could be affected. 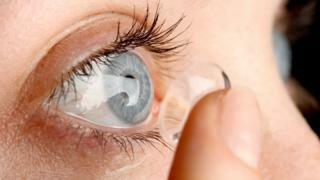 The firm describes itself as Europe’s biggest online seller of contact lenses and eye care products. Several experts have said a fake Google Analytics script placed within the site’s code was the apparent cause. A spokeswoman for Vision Direct confirmed that its UK site had been involved as well as some of its other European operations. “Being able to provide the CVV number usually indicates that you have the card in your hand when making a purchase,” commented cyber-security researcher Scott Helme. A statement on Vision Direct’s site says that anyone who updated their details during the stated period, or had an order or update submitted on their behalf by its customer services team, should contact their banks and/or credit card providers. “The personal information was compromised when it was being entered into the site and includes full name, billing address, email address, password, telephone number and payment card information, including card number, expiry date and CVV,” said a notice on its site. Vision Direct’s site had previously said that all card payments made to its service were “totally secure” and that it had never once heard of a case of them being misused. It added that customers who had used PayPal during the period might have had their names and addresses accessed, but said their payment details should still be secure. A spokeswoman for the company said she would pass on the BBC’s request for more information, including an estimate of how many people had been affected. In the meantime, its Twitter account has been telling customers that “compensation will be considered on a individual basis should there be any material loss incurred”. The Information Commissioner’s Office told the BBC it had yet to be formally notified of the incident. “Organisations must notify the ICO within 72 hours of becoming aware of a personal data breach, unless it does not pose a risk to people’s rights and freedoms,” said a spokeswoman. It is not clear how a fake script could have been placed on the firm’s site – and Vision Direct has yet to confirm the detail – but Mr Helme said such attacks were preventable. “Historically we may have seen card skimmers installed on an ATM but now we’re seeing these attackers install them on websites instead,” he said. “Card issuers already have advanced fraud screening systems in place to detect and stop any suspicious transactions,” he explained.